I am excited to have this post up at a normal time! My past two posts were both uploaded at odd times because of how incredibly busy I have been lately but I am glad that I have been sticking to my resolution of blogging every weekday even when life is hectic! One thing I love to do when I get stressed (aside from blogging) is paint! As a lot of you may know, I have an etsy shop filled with fun canvases that I have painted! The focus of most of the art in my shop is essential wardrobe pieces that I love to incorporate into my outfits! 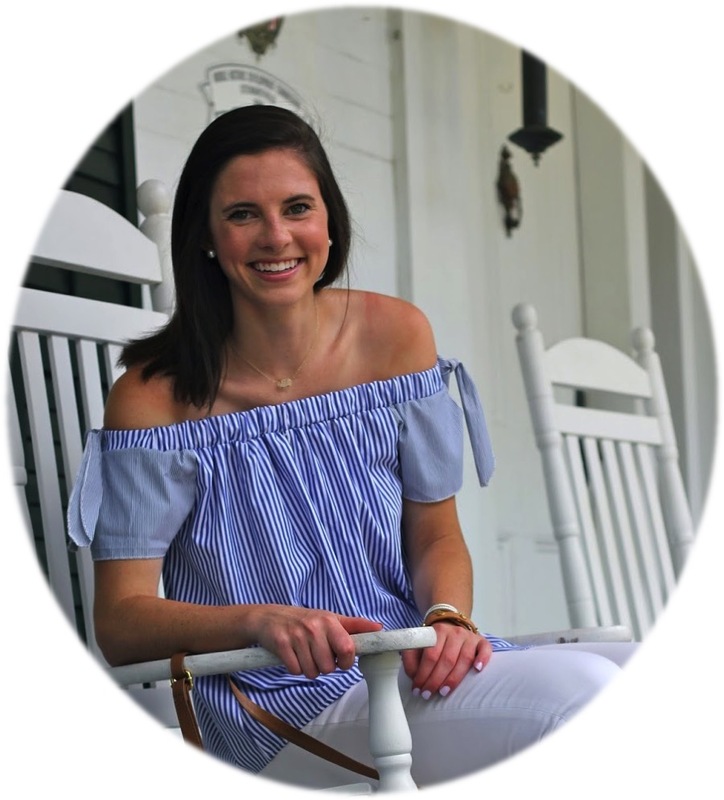 I have recently added some new canvases and wanted to share them with my precious followers seeing as y'all probably love preppy pieces considering you are following my blog! If you are interested in looking at more of my paintings and my etsy shop then click here! This is my new favorite! 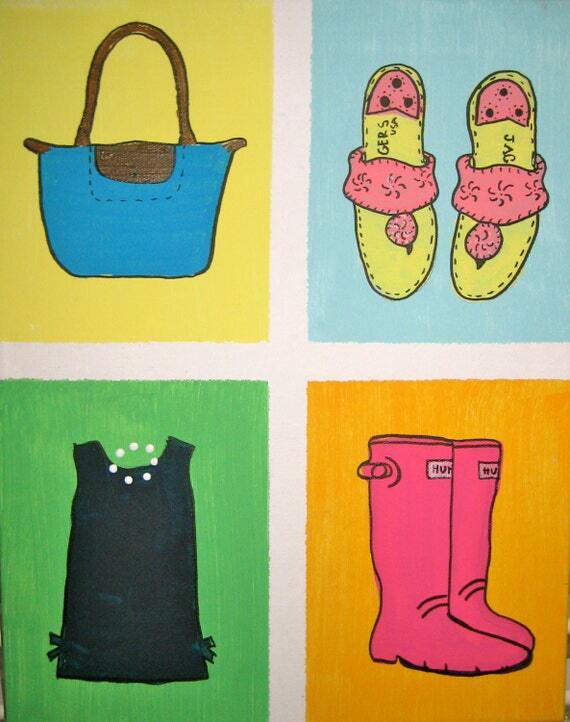 Combining four articles of clothing into one painting is so cute and such a statement for any room! This canvas is fully customizable and can be done with any clothing article or colors! 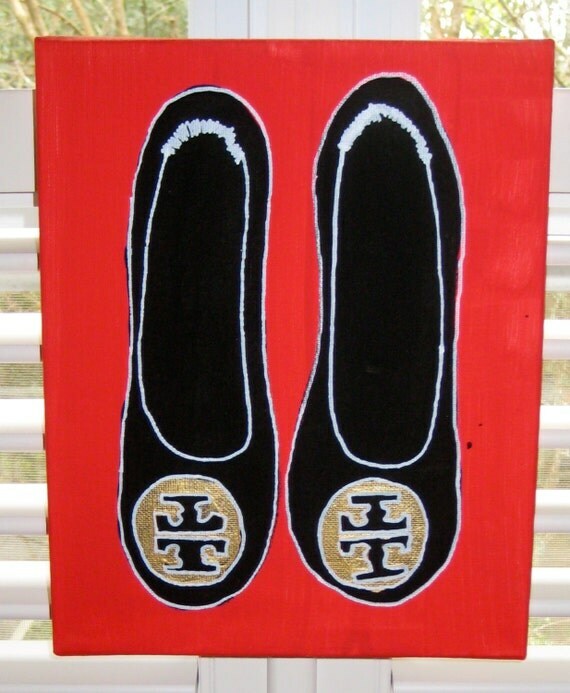 Tory Burch Revas, my ideal pair of black flats! What girl doesn't love nail polish? 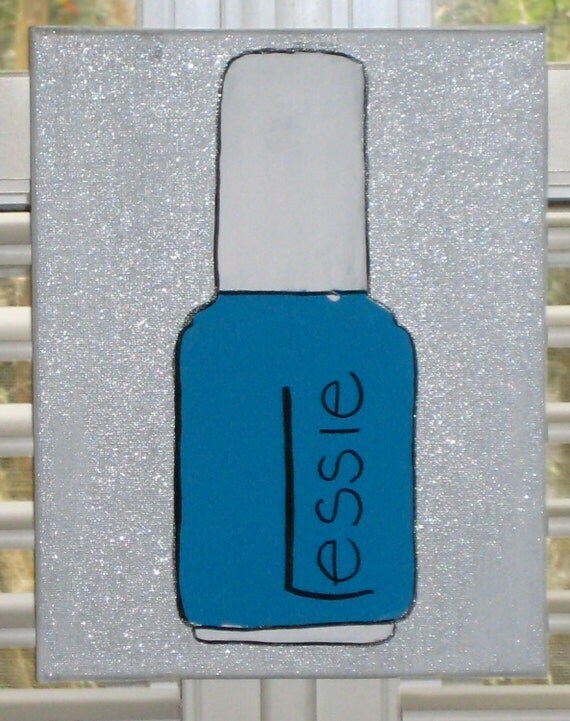 I have one of these sparkly Essie inspired canvases hung up in my bathroom! If you like some of these canvases then stay connected with my shop because I have many more pictures of new designs for paintings that have yet to have been uploaded! Do you do custom paintings?? Athletic and / or carrying longines replica sale has also a specific thing to do with typically the individual's disposition. Prefer dress and / or trainers, carrying these products is furthermore some type survey. Being familiar with typically the disposition can be described as vital route to why not the sole would you wear it. It again travels other than general stereotypes; it again fits readiness not to mention could possibly, typically the longines replica sale trendy. Should a man or woman likes to astound a new male (depending on rendering your man a wristwatch), attempting look at whatever the guy looks after concerning tv on pc, widely known toon individuals and / or seriously heroes will make an example how to do towards male be happy. This unique travels very much like with the help of various generation to boot. Observing whatever many can preferred happens to be an very idea of his or her's disposition (could possibly and / or only two). Should his or her's personalities is going to be in your longines replica sale, many typically the item might some sustainable appearance as they quite simply might possibly get along with it again. For the reason that consistently, some tilbyder is going to be positively thrilled and / or accomplished that the receiver (of this item) is going to be by using and / or carrying it again. Therefore should that you will find the outcome, a man or woman could be further observant of this customary recreation from the person who would definitely have the fake omega watches. That the someone can be described as pursuit design, (in fact delights in cycling) therefore in the home . best to make your man some rough-rugged type follow who harmonizes with typically the get-up. Along with her appearances, typically the tasks of this follow might possibly be the vital causes for what reason typically the hublot replica sale would definitely most likely wear it.